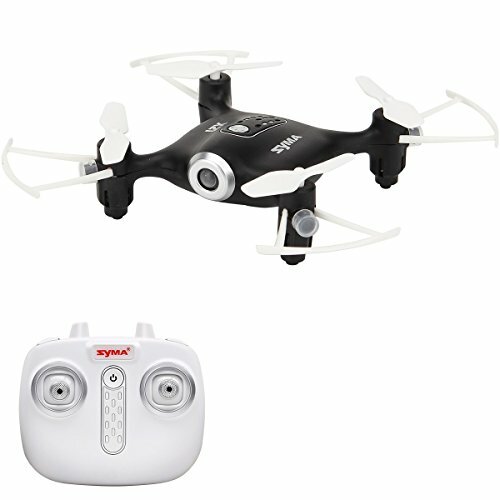 360 degree stunt flip function: when you are familiar with the basic actions, you can proceed to explore even more exciting stunt actions, fly the drone to a height of 3m above the ground, push the upper right corner button (stunt flip button) on the remote control and simultaneously push the right joystick the farthest position of front back left right, the drone will now execute the front back left right stunt flip action. Fast/Slow speed function: Slow speed by default when first powered on, possible to switch the function mode of fast/slow speen by pressing in on the right joystick for a short time, it is switched into fast speed mode when two "beep¡ sounds come from the remote control, pressing in on the right joystick for a short time under fast speed mode and then one "beep¡ sounds would come from the remote control, then it is then switched back into slow speed mode. When the two indicator lights at the rear of the drone start flashing, it means that the drone's battery power is low, at this time, please control the drone return, the drone will automatically slow down when it is short of power. Auto hover function:after using the left joystick throttle to control the ascending / descending flight of the drone,release the left joystick accelerator and the drone will hover at that height when the joystick is released. Level calibration function:Place the drone on a level surface and at the same time,push both left and right joysticks to the lower right corners for 2 to 3 seconds,the rear led light indicator on the drone will blink rapidly,and it will return back to the normal status after about 2 to 3 seconds.the level calibration is successful. A key 360 degrees roll flip.Fast/slow speed function. One key take off landing function. It can fly indoor. The designed LED lights WIith the colorful flashing light, keep your aircraft at night flying is quite excellent.leaving a beautiful landscape in the night sky.